Imagine you are at a friend’s wedding. The food is so inviting that you end up overeating. After a few minutes, your chest starts burning, and this keeps amplifying with every passing second. Drinking gallons of water doesn’t douse the fire either. Heartburn is a typical symptom of GERD or Gastroesophageal Reflux Disease. It is a condition that occurs when the contents of your stomach flow back into the esophagus. About 20% of adults in the West are affected by GERD (1). According to doctors, one of the best ways to prevent and manage GERD is to change your diet and lifestyle. Read on to know everything about GERD and stop it from being a recurring nuisance. Swipe up! Is There A Specific Diet For GERD? 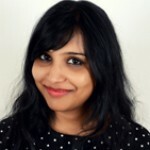 GERD or acid reflux is caused when the food and digestive juices in your stomach flow back into the esophagus (the tube connecting your mouth to the stomach). The lower esophageal sphincter or LES (much like the valve of a tap) closes to prevent the backflow of the stomach contents into the esophagus. But a weak or damaged LES fails to do so. The stomach contents flow back into the esophagus, irritating the lining of the esophagus, thereby causing heartburn (2). But not all heartburn is severe. The severity of acid reflux or GERD depends on the amount of stomach content that flows back, the condition of your LES, and the neutralizing effect of the saliva. GERD is also caused due to a hiatal hernia. The hiatus is a small opening in the diaphragm, the muscle that separates the chest and the abdominal cavity. The esophagus runs through the hiatus. 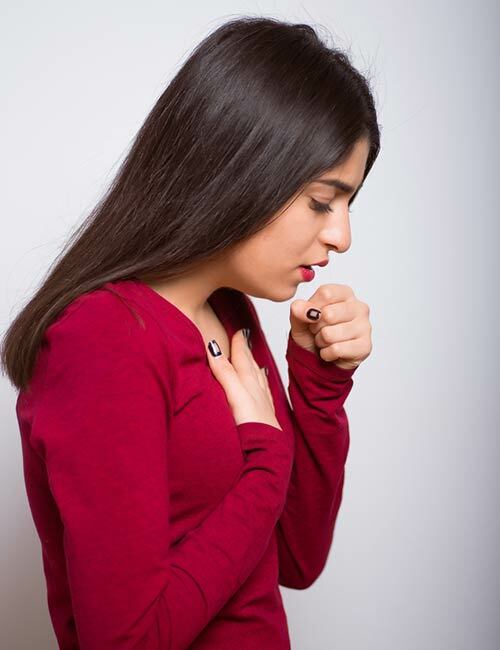 Sudden physical exertion, coughing, and vomiting may cause a small part of the stomach to move up into the chest through the hiatus, leading to a hiatal hernia (3). Apart from heartburn, there are other symptoms of acid reflux or GERD that you should be aware of. Note: When you experience one or more than one of these symptoms, seek immediate medical attention. 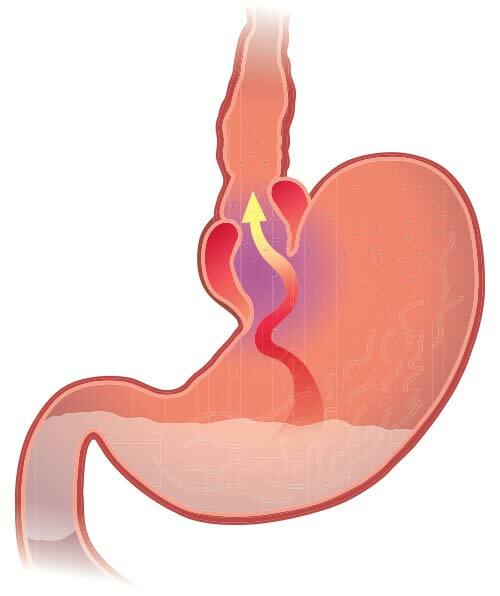 The long-term treatment of acid reflux or GERD involves taking care of your diet and lifestyle. Here’s a list of foods that will help subdue the symptoms. Veggies – Vegetables are high in dietary fiber and mostly leave an alkaline metabolic residue that helps neutralize the acidity. Consume broccoli, cauliflower, spinach, kale, carrot, potato, cucumber, and green beans. Fruits – Fruits are rich in fiber, vitamins, fruit sugar, and minerals. 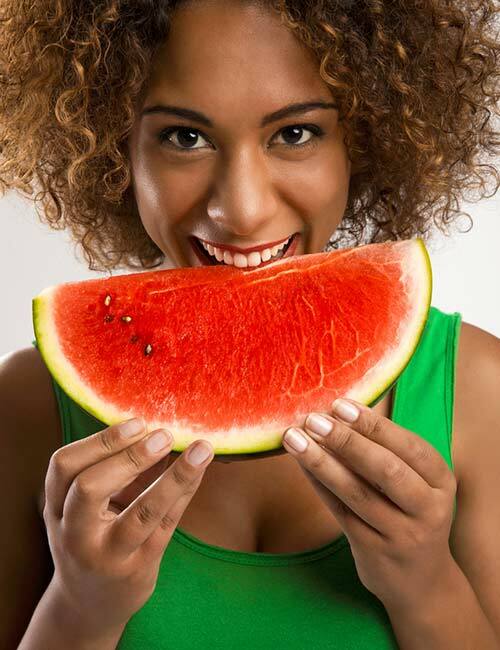 Consume non-citrus fruits like banana, watermelon, muskmelon, and honeydew melon. Lean Protein – High saturated fats in your food can also cause acid reflux. Therefore, it is best that you consume lean protein sources like fish, skinless chicken breast, mushroom, egg whites, turkey, and shrimp. Dietary Fiber – Dietary fiber-rich foods like oatmeal, whole grain bread, buckwheat, barley, and whole grain rice help absorb the acid. Probiotics – Yogurt is the best source of probiotics, especially if you are suffering from acid reflux or GERD. Consume a small cup of fat-free yogurt with a pinch of salt. You can also drink a smoothie made of ½ cup yogurt, 1 tablespoon lime juice, 1 teaspoon brown sugar, and ¼ cup water. Prebiotics – Green banana, apple, leeks, and Jerusalem artichokes are best to consume if you suffer from GERD regularly. Natural Remedies – Ginger, licorice, and slippery elm bark are useful for reducing GERD symptoms along with nausea. These help improve gastric emptying and coat the esophageal lining with mucilage, thereby preventing further irritation of the esophageal lining. Dairy – It is best to consume low-fat milk and yogurt as whole-fat milk may aggravate the symptoms. Soups – Consume clear soups with lean meat and veggies. Avoid using cream or butter. Dessert – Frozen yogurt, popsicles, low-fat cookies, and cakes. Beverages – Herbal teas, water, freshly pressed and strained fruit juices, except citrus fruits. What is it that you have to avoid consuming? Here’s a list – take a look. Apart from understanding what to eat and avoid, you also have to take care of your lifestyle. Scroll down to take a look at the “to-do” list. Stop smoking. The nicotine tends to weaken the LES, making you more prone to acid reflux. Avoid eating at least 3 hours before hitting the bed. Practice portion control and eat frequently. Reduce weight if you are overweight or obese. Do not bend over and eat. Close your mouth and chew slowly. Consult your doctor before buying any over-the-counter medicines. Raise the head of your bed to at least 4 inches before going to sleep. What are “trigger foods?” Well, here’s what you’ve got to know. GERD trigger foods, as the name suggests, trigger a new episode of acid reflux. But the “trigger foods” vary from person to person. To know which foods don’t suit you, keep a food journal for a week. Check what, how much, and when you ate for a week. Record how you felt and if any of the foods you ate caused acid reflux. So, is there a specific diet for GERD? Let’s find out! No, there is no specific diet for GERD. But the foods recommended in the foods to eat list will help you reduce fat, lower cholesterol, and improve bowel movement. You must talk to your doctor to know which diet is best for you. GERD is a serious condition and may lead to other health complications if it remains unattended. If you suffer from acid reflux regularly, it is best that you talk to your doctor, take medicines, and improve your diet and lifestyle. You will see great results and never miss out on the happy times because of the annoying heartburn. Get help NOW!